Donteea Dye was a speedy WR that was signed on as an undrafted free agent, in 2005. After being among the final roster cuts for Tampa last year , he was re-signed to the practice squad and then activated to the roster in October of 2015. Dye sustained an injury in this year’s preseason and was waived with an injury designation, only to be placed on Tampa’s injury reserve. Several days later he was cut with an injury settlement. In 2015, Dye played in 10 games where he recorded 37 kick return yards and 132 yards on 11 catches. The Buccaneers waive DE Deondre Barnett with an injury settlement. 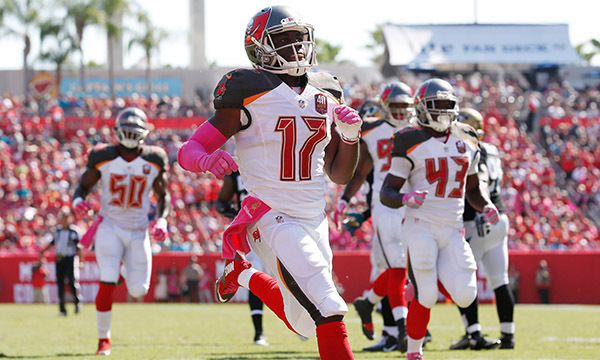 Bucs Waive Channing Ward W/ Injury Settlement.